Can you imagine giving up a high-paying job just as you are welcoming your newborn son? That’s what our fearless guest today did! While his decision (and timing) can seem impractical, it turned out to be one of the best decisions he has ever made. Chris Silvas is a wise go-giver who’s now running a very lucrative and successful wholesaling business. However, just like most people, his wholesaling journey has not always been a breeze. Chris is quick to admit he made a lot of mistakes and faced a lot of challenges especially when he was still starting out. Fortunately, his business took a turn for the better and exploded exponentially after he discovered the TTP (Talking to People) program. 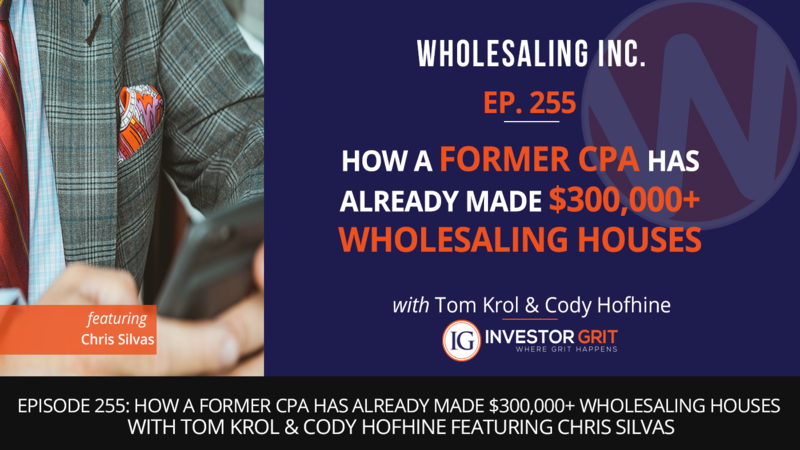 If you’re looking for that courage to take the leap and try wholesaling, today’s episode is exactly what you need to hear. Chris’ story will not only inspire and motivate you, his wisdom and insights will also help get your wholesaling efforts off to an amazing start!